The Board of Directors at Trust in Learning have agreed for up to two additional in-service planning days to be taken by all of its schools during Term 6 this year. 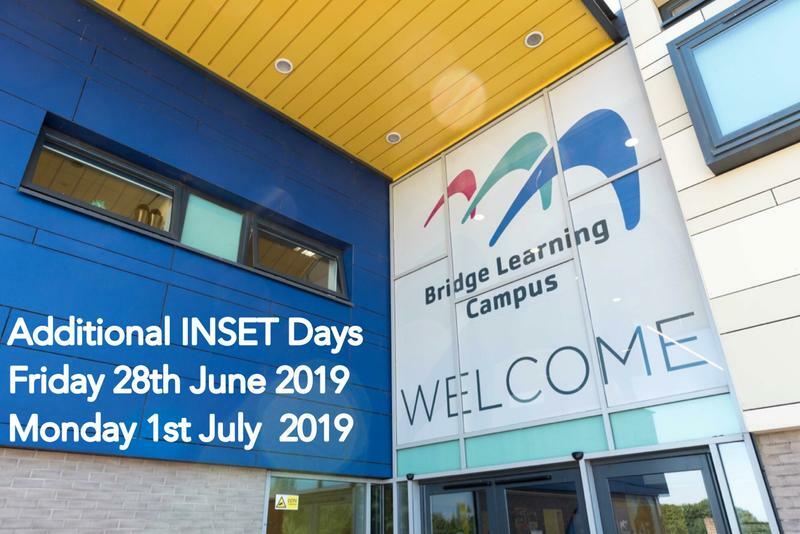 The dates proposed at BLC are Friday 28th June and Monday 1st July 2019. This will mean the Campus will be closed for all students on these two days. Year 10 Work Experience will still start as scheduled on Monday 1st July. This is due to upcoming significant changes in our curriculum. This is important because all schools will have to think very carefully about their curriculum and the purpose behind it. This will require significant changes in what is being taught and when. Teachers, not just at BLC but everywhere, will have to revise or change completely some things they teach. In order to for this to happen, these two planning days are required. We do not like making in year changes like this as it is not easy for many parents and carers to make alternative child care arrangements and I apologise for any inconvenience this may cause you, but these changes are so different and important that we do need to provide staff with some time to plan in preparation for September 2019.